Congratulations West Liberty Rotary Club! At last week’s Rotary 6000 District Conference, the West Liberty Rotary Club received many awards. First in Annual Program giving of averaging $415.38 per member giving and 100% Sustaining Member giving. In addition, Bill Koellner received the prestigious “Service Above Self” Award. Bill was one of only 150 in the world winning this award. Please come to the meeting on April 16, 2013 to see President Jim Carey show the club’s awards. Wayne Steen will have a special presentation honoring Bill Koellner for receiving Rotary’s highest individual achievement. The 6000 District Conference of 2013 was truly a great event. 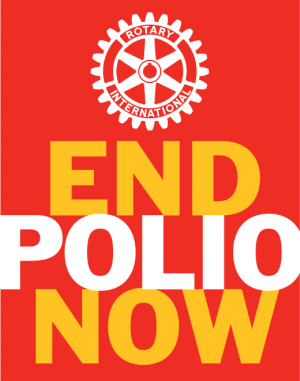 If you want to know what Rotary is all about and the real difference we are making in peoples lives around the world plan on going to next year’s conference. It will be held in Ames from May 1 to May 3, 2014. Mark your calendars now! On Sunday April 14, 2013 Betty Akers died. Betty was a great Rotarian and one of the great ladies of West Liberty. Visitation is Wednesday April 17 at First Church United from 4 PM to 7 PM. The Funeral Service is at 10:30 AM at First Church United on Thursday April 18. Rotarian Cindy Mays has invited Steve Grgurich to be our speaker at the April 16th meeting of Rotary. Steve is the operations manager at the West Liberty Waste Water Treatment Plant. Please plan on attending this informative meeting. The meal will be tenderloins, french fries, chips and ice cream. The meal will cost $7.00. The Board of Directors of the West Liberty Rotary Club will meet immediately after the regular meeting. All Board members are encouraged to attend the board meeting. Next week’s program will be presented by Rotarian Norm Nicol. Norm will be talking about his acquisition of a lawn mower business in Ohio. Norm is always a great presenter. Please plan on coming to this entertaining and informative meeting. Saturday April 20 will be a city-wide clean-up of West Liberty. The clean-up will begin at 9 AM and end at approximately 11 AM. Please consider volunteering for this very important project so we can make West Liberty one of the best looking towns in Iowa. We will have a sign up sheet at tonight’s meeting for Rotarians to volunteer to help clean up West Liberty. There will be a Rotary Peace Forum on Saturday May 4 at the Ames Public Library. The event will be held from Noon to 5 PM. The event is co-hosted by District 6000 (our district) and District 5970. There is a $15 registration fee ($20 after April 27). Wayne Steen will have registration forms available.